We carry out servicing and annual re-inspection of inflatable liferafts manufactured by RFD Beaufort, DSB,Survitec Zodiac. RFD Beaufort, DSB (Deutsche Schlauchboot GmbH), Survitec Zodiacare the world known Companies, always at the forefront of survival technology. Also we supply with new liferafts, including to shipyards for installtion on newbuildings. 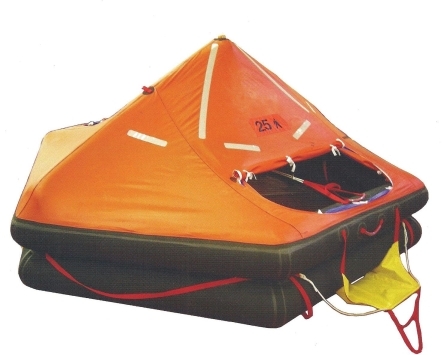 All main types of liferafts are in our stock at St.Petersburg. 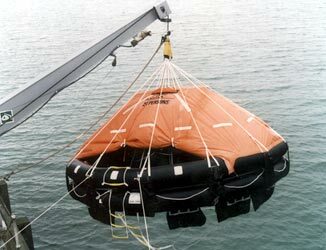 Also, liferafts can be supplied according to order. Liferafts RFD (Surviva) and DSB are in full compliance with SOLAS requirements and hold approvals for all major international marine authorities, including RS Russia, MED (LR), NDM Norway, Transport Canada, AMSA Sustralia, US Coast Guard, MSA New Zealand. Qality management system approved to BS EN ISO 9001 2000. RFD (Surviva) and DSB liferafts can be used on all types of commersial, leisure and military crafts. They incorporate the latest design and manufacturing techniques making them the ultimate commersial liferafts.